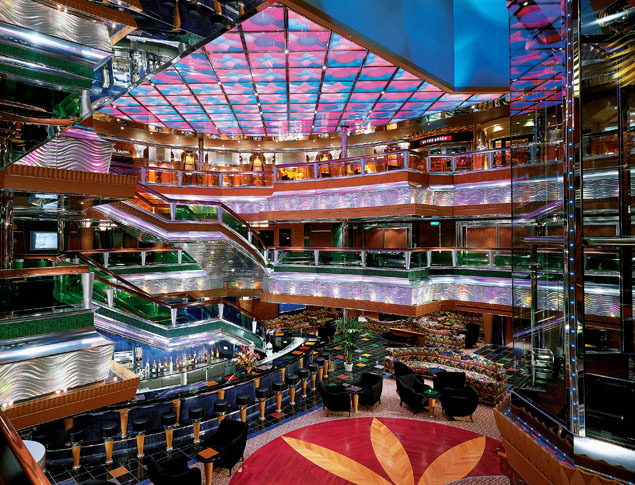 Carnival Glory lives up to its name! Three pools, a 214-foot Twister water slide, more restaurants including an amazing steakhouse, and more nightclubs combine to make Glory the ultimate cruise trip! With 13 passenger decks, the staterooms are extra-large, most of them have ocean views, and many have private balconies, so you can travel in style as well as comfort. 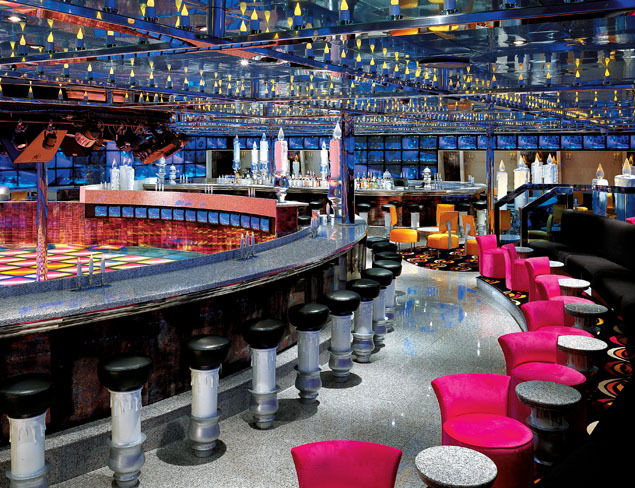 There's a casino, a sushi bar, and lots of bars and lounges for you to enjoy the company of friends, or make new ones. Play a round of 9-hole mini-golf on the sunny deck, or take a dip in one of Glory's three pools. The great Twister slide is perfect for having some fun in the sun! Get pampered at the spa, where you can get great skin treatments and massages... or, relax with a book in the Black and White Library! Glory has an internet café, "Action Alley" with a great video game arcade, and a teen coffee bar and dance club for the younger folks! There's a huge children's play area, a great sports deck with basketball courts, a jogging track and a 15,000 square foot fitness center! There are board games and card games in the card room, and the Boulevard has great shops and boutiques - some of which are duty-free! There is even a multi-media business conference center. You'll never run out of options on this GLORY-ous ship! 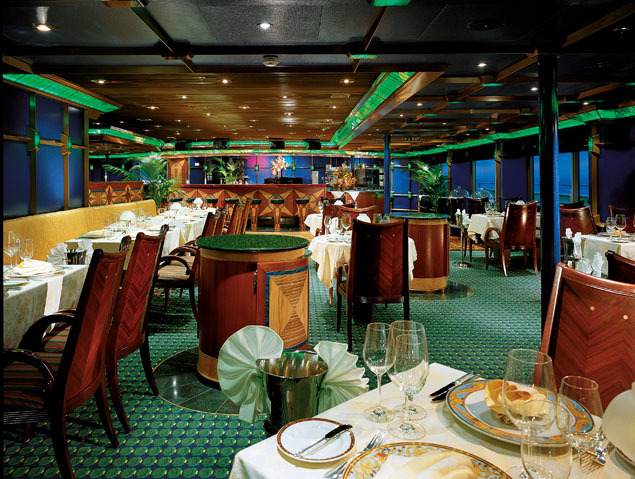 If food is your thing, check out these dining options: The formal dining rooms on Glory offer an exquisite culinary experience including fresh lobster and a huge variety of wines, as well as great service! Fascination offers the Supper Club, which is a reservations-only, chic Manhattan-restaurant setting. Offering your favorite menu items from the steakhouse, the Supper Club guarantees to please you with every bite. For the more casual diner, there are midnight buffets, a 24-hour pizzeria and even European Cafés so that you can satisfy whatever craving you have! For the youngest members of your family, the kids menu offers all of their favorites including pizza, spaghetti and meatballs, hamburgers, hotdogs, and much more! Once the sun goes down, the fun begins! Featuring Vegas-style entertainment, kids clubs, dancing, and much more, your night will be full of surprises and pleasure! 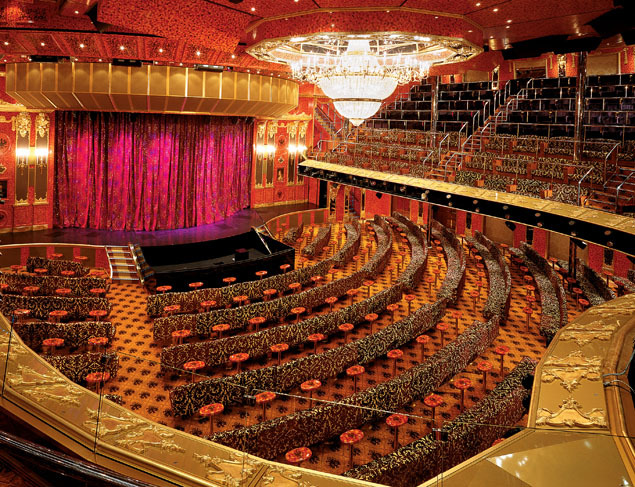 Go see a live show at the Amber Palace, the main show lounge - or check out the live music at one of the piano bars! 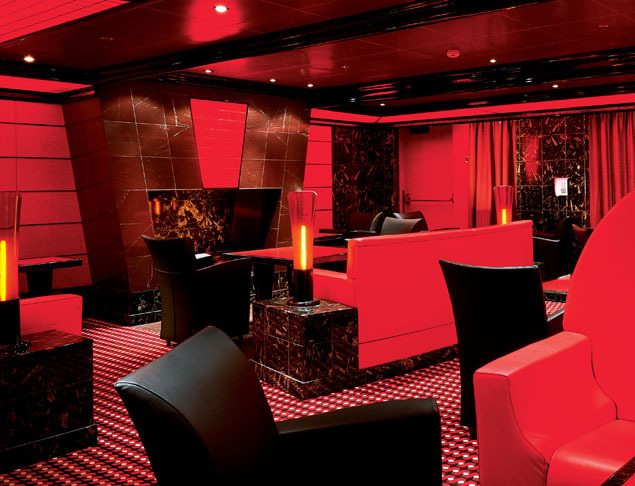 There's a cigar lounge, and 22 different bars! There are plenty of activities for the younger crowd including a teen club and arcade, while the adults go enjoy the party! Feeling lucky? 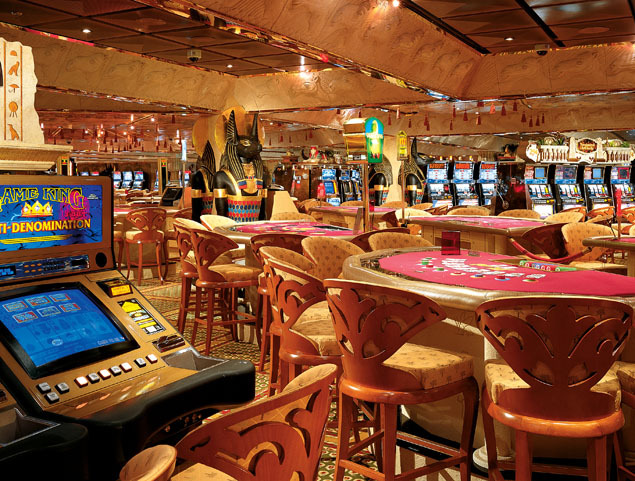 Try the Camel Casino and play some poker or other games! If dancing is your thing, check out the White Heat dance club and groove to the tunes. No matter what you like to do, Glory has something you'll enjoy!